Having served an apprenticeship in carpentry and cabinet making in Germany, Cornelia moved to England in 2001 to pursue her passion for the traditional handcrafting of furniture. Following her graduation from West Dean College in the Conservation and Restoration of Antique Furniture, Cornelia went on to work as a conservator/restorer at Aggeby’s, a company run by the former head of Sotheby’s furniture restoration workshops. She then moved to London to join the restoration team of Godson and Coles, one of London’s most respected dealers of fine English furniture and works of art. There she worked on pieces of international importance, gaining considerable experience in the techniques necessary to sympathetically conserve and restore some of the finest antiques in the world. With specialist skills in carving, gilding, turning, patination, wax finishing and Japanning, she has exceptional expertise in the disciplines fundamental to her craft. 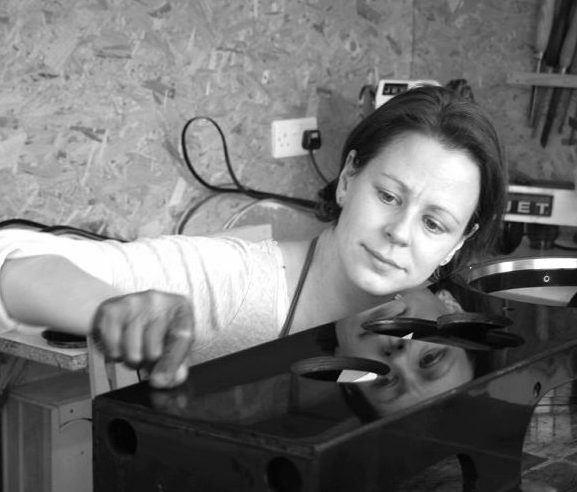 Now working in Southwick, Wiltshire, she specialises in the restoration and conservation of antique clock cases and combining these particular skills with her extensive cabinetmaking experience, she also creates, by hand, exceptional new clock cases.